Ten dharmas or observation of good acts like – forgiveness, humility, straightforwardness, contentment, truthfulness, self control, penance, renunciation, non-attachment and continence. Nirjara is one of the nine fundamental principles, or Tattva in Jain philosophy, and refers to the shedding or destruction of accumulated karmas from the atma (soul), essential for breaking free from samsara, the cycle of birth-death and rebirth, by achieving moksha, liberation. Literally meaning “falling off”, the concept is described first in chapter 9 of the classical Jain text, Tattvartha Sutra (True nature of Reality) written by Acharya Umasvati, in 2nd century CE, the only text authoritative in both Svetambara and Digambara sects of Jainism. . Later it also finds mention in Dravyasamgraha (Compendium of substances), a 10th century Jain text by Acharya Nemichandra. Savipaka – Passive Method – Also known as Akam or unintentional Nirjara, equanimous submission to the fruition of karma, and involves natural maturing of past Karma, in due course of time and experiencing the results, both good and bad with equanimity. If the fruits of the past karmas are not received without attachment or agitation then the soul earns fresh karmic bondages. It is also not possible for the soul to know before-hand when and which karma will start to produce results and therefore require good discipline in practicing equanimity under all circumstances. This passive method of exhaustion of karmic matter around the soul, after enjoyment of its fruits, is compared with emptying of a pond through evaporation, while water channels are still pouring in. Naturally it is a slow method, as by the time karmas become ripe and are exhausted, new karmas fill in, as karmic matter is constantly pouring into the karma sharira (karmic body), through asrava, influx of karma. 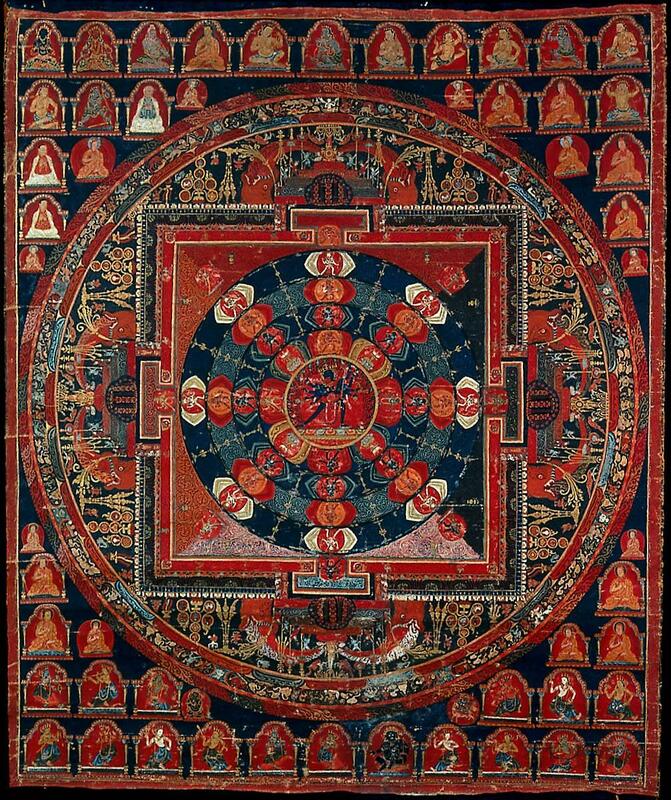 Thus to achieve liberation, the active method of purging off karma, avipaka nirjara is advised. The Bahya or bahiranga tapa, external austerities are meant to discipline the sensual cravings, and prepares the person for for internal austerities, which come next. At some places, alternative to this list include, Ichhanirodha, control of desire for food and material things. All the first five internal austerities and all six external austerities are preparatory steps for the practice of dhyana, which is the primary cause of moksha.